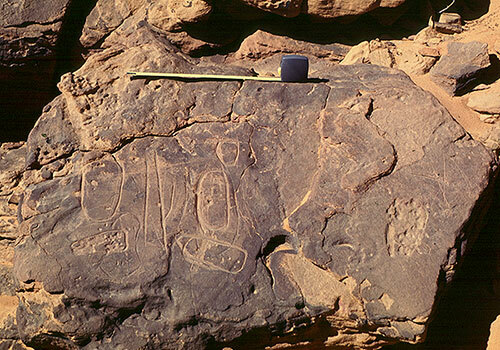 The Society’s survey along the new road from close to the pyramids at Meroe up to Atbara, a distance of 90 kilometres, was undertaken in early 1993 and was followed by a second season of limited excavation at several sites among them, the cemetery at Gabati. Mallinson, M.D.S. 1993. 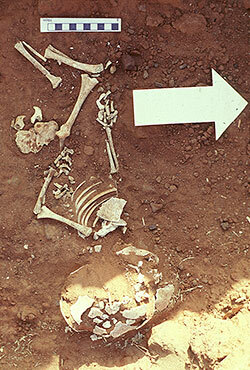 ‘The SARS Survey From Bagrawiya To Atbara 1993’, Sudan Archaeological Research Society Newsletter 5, 16-22. Mallinson, M.D.S. 1997. ‘Interim Report Meroe’, Kush 17, 267-288. Mallinson, M.D.S. and J.M. ? 1994. 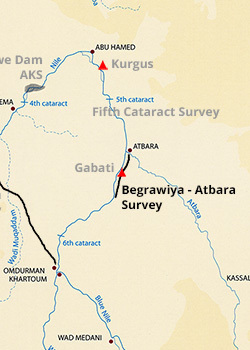 ‘The SARS Survey From Bagrawiya To Atbara’, Sudan Archaeological Research Society Newsletter 6, 18. Mallinson, M.D.S., L.M.V. Smith, C. Le Quesne, P. Sheehan and S. Ikram 1996. 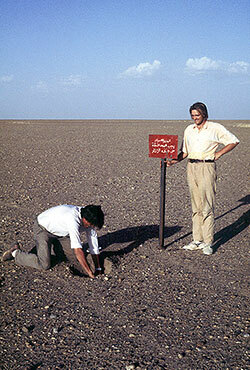 Road Archaeology In The Middle Nile, Vol. 1, The SARS Survey From Begrawiya-Meroe To Atbara 1993. SARS Publication 1 London.